The Budgetplanners.net Debt Consolidation Resources are backed by experts in the field of credit counseling and debt management. 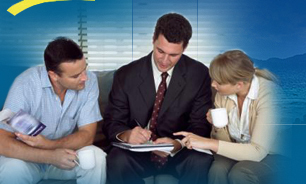 Consumers facing financial difficulties need the assistance of trained professionals and we have assisted thousands by providing debt reduction and settlement programs through various offices suited to their needs and educating them in the prevention of future credit and debt problems. The responsibility for finding and maintaining successful debt management programs is a shared undertaking...a partnership. You have the determination to reverse financial difficulty and need to be sure that the professionals you choose to partner with share that determination and use their expertise to manage your program efficiently and to your advantage. We pride ourselves on always maintaining and exceeding our clients' expectations. The Budgetplanners.net Debt Consolidation site has made it our priority to help consumers in ways to prevent uncontrollable debt. Through the counseling offices, our visitors learn to recognize their income limits and capabilities by being guided through the creation of and adherence to a sound, manageable budget that will carry them through both difficult and easy times. Learning to live within one's means is the first step in getting out of debt and building good credit. It is hard work, but with the help of the trained professionals, it is achievable. In our years of experience, it is obvious that consumers do not plan to get into trouble with credit and debt. There are usually many factors that have led them to financial difficulty. With the proper professional help and education those searching for ways to remedy the situation will have the answers they need. Budgetplanners.net provides the answers both for the immediate solution and for the prevention of future financial difficulty. Dedicated to helping consumers alleviate financial burdens through effective debt management and settlement programs.